What does it take to be a good man? A 15 year old Toronto student was arrested this week and charged with 14 counts of sexual assault and 2 counts of criminal harassment. The assaults occurred in the Bloor-Christie neighbourhood earlier this fall. I am not alone in reacting with a great deal of sadness at this news. Surely some unknown variety of twisted misery befell this kid, before he allegedly began to assault his victims. Acts of savagery rarely pop up on their own. They are the sad legacies passed on from generation to generation. This is the terrain explored by writer Steve Almond. He argues that masculinity has always been governed by aggression. Almond’s moving essay appears in The Good Men Project which aims to foster new social discourse centred around modern manhood. Almond grew up with violence and is terrified to raise a son. I don’t have sons. If I did, I would encourage them to ignore buffoon TV dads and fallen sports heroes to broaden their search for contemporary role models. My teenage nephews have a head start with decent dads, grandfathers and uncles (no bias here) but turning their gaze to pop culture, they have to dig a little deeper to discover true manliness. 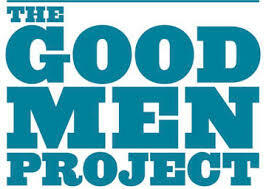 The Good Men Project is good place to start. Contributions to the project vary in style and skill but a quick browse indicates material that suggests, at the very least, a new conversation is under way. Here’s hoping the women who suffered the assaults find solace, strength and justice. For the teenager refused bail and now awaiting his fate, he needs, mostly, help. Wonderful post Ann. I remember when a friend told me she was about to join my Mother of Three Boys Club and I congratulated her, she replied, “I don’t really want them to grow up to be great men, the world has had lots of those who weren’t terribly good.” I agreed then and still do as my husband and I concentrate on raising three good men. Mother Of Three Boys club? Tell me more! Interesting .. maybe it is because I am in the woods 1/2 the year but I have never heard about the Good Men project.